Creating a CV from scratch can be a very daunting task, and even if you’ve already got a CV with an extensive amount of experience, you might still need to read on to find out why a CV template will benefit you also. The CV is the single most important aspect of gaining an interview, and when there are so many people that now use a ready made CV template, can you afford not to? Rather than spend hours trying to create your own CV you would be much better off ploughing that precious time into the actual content and quality of you’re application. Think about how long it would take to create fancy lines and layouts using your word processor when the grunt work has already been done for you and is one click away. If you’re completely new to CV writing or have very little experience, choosing a CV template will save you a lot of time and hassle, and will guarantee you a professional outcome. A CV template will focus your time and efforts into the right things, and provide you with an excellent foundation to what will hopefully be a successful application. Above: Our free achiever CV template – click here. You will often find that you can search for a specific CV template which has been specially designed for your needs or a particular scenario. This could be anything from a school leaver’s template to an engineer’s application. There are hundreds to search through and have all been designed to serve a particular purpose. Can you imagine how difficult it would be to create your own CV template from scratch for a particular job you’ve never worked at? Even if you’ve been in the industry for many years, you may still not have enough knowledge to know what makes a great CV template – and why risk trusting that knowledge when you can select one that’s already been done for you. Above: Our free Designer CV template – click here. Choosing a CV template is like window shopping these days, and with so many to choose from it allows you to pick one which looks professional, engaging and relevant to the role/industry you are applying for. 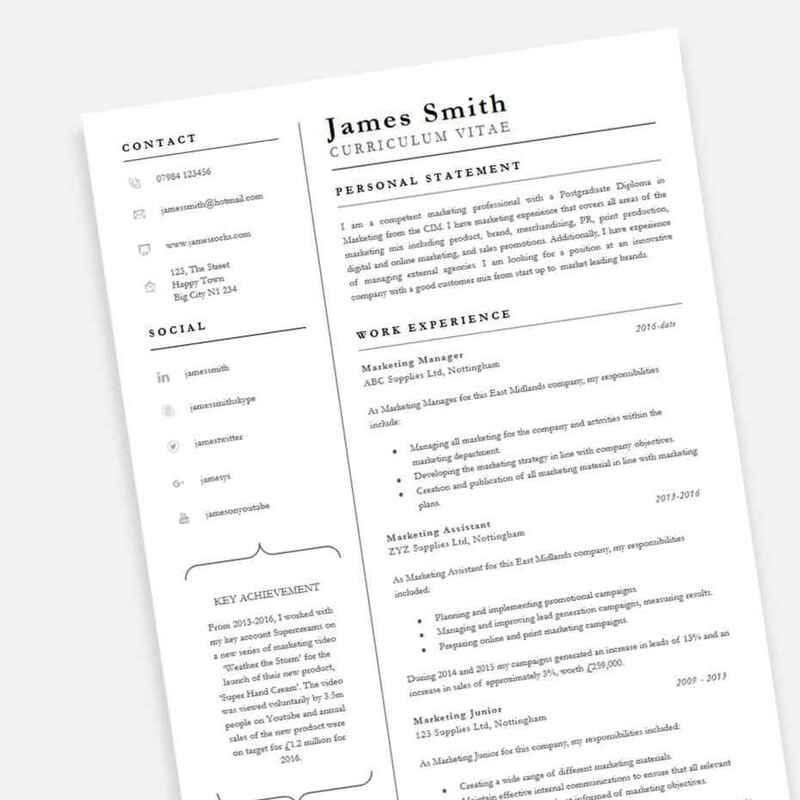 Making a great first impression is what counts when it comes to impressing the hiring manager, and that’s where a ready made CV template comes into its own. You’d be surprised at how quickly a CV can be rejected when the owner has created it themselves. 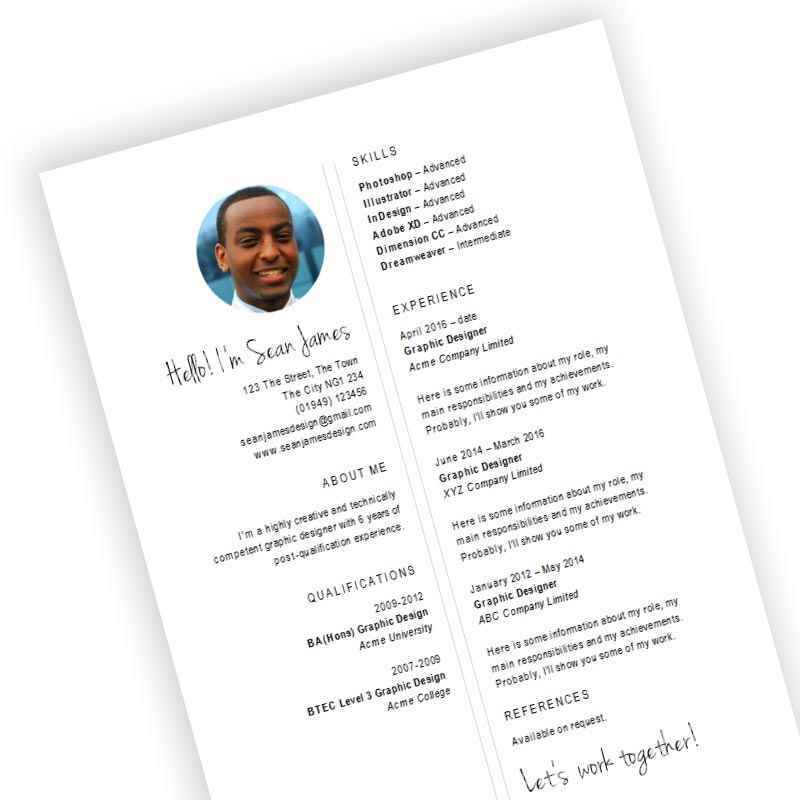 That’s not to say that there aren’t candidates out there that have the skills and creativity to produce a fantastic CV template by themselves, but if you have any doubt as to your own skills, then at the very least you should select a few and insert your details into it to see how it looks. Above: Our free elegance CV template – click here. Another aspect to using a ready made professional CV template is that you can customise it to your own liking. You don’t have to stick with the exact layout of the template, and we would actively encourage anyone to tailor our CV templates to their own style and taste. You might stumble across a CV template which you really like but would like to make a slight adjustment – so why not go ahead and do so. You could also find that looking through our huge database of CV templates inspires you to create your very own. 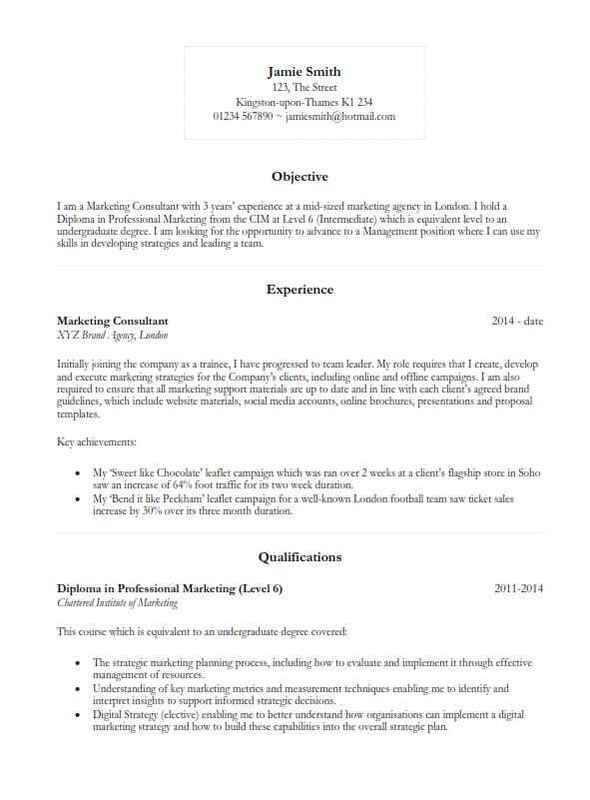 Above: Our free basic CV template – click here. CV templates are not just designed with first time CV writers and school leavers in mind. They are created for absolutely anyone to use and it doesn’t matter how many years of experience you’ve been dragging your CV through, a CV template may just be what you need to reignite some passion back into your old and tired CV. If you’ve been updating the same CV for many years now, then we’d highly recommend giving it a facelift and a complete makeover. There’s a good chance that if you’ve been using the same CV template for the past few years that it’s outdated and falling behind the times. To better understand if your CV needs a makeover, have a search through our huge list of CV templates and pick just three you really like. Then, insert the details from your old CV into each of the new CV templates and see what you think. Finally, choose one from the three and sit back and marvel and how awesome your CV now looks. 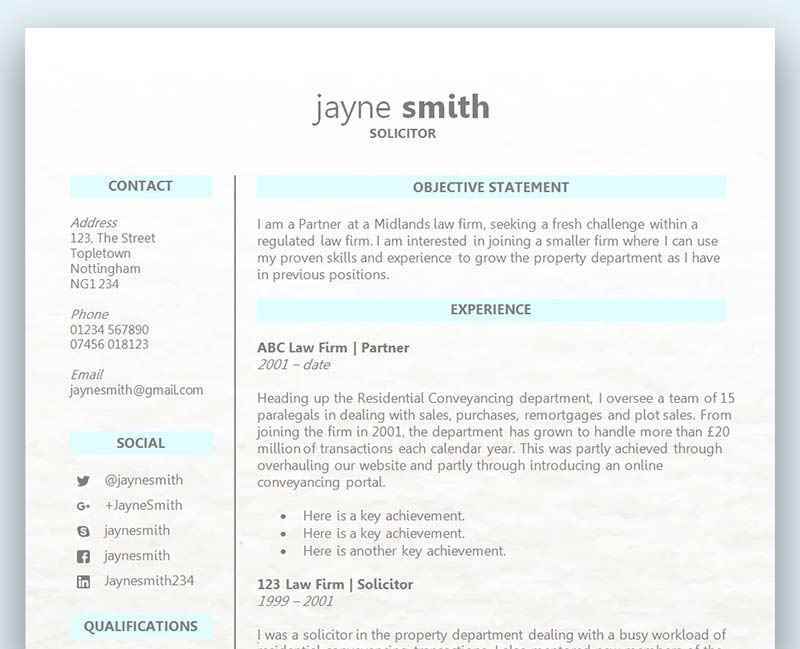 Above: Our free Legal CV template – click here.